This culture form of the stalk plant Bacopa Monnieri is more compact and, under good light conditions, almost a creeping plant. 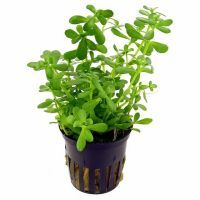 By pinching off all vertical growing shoots, the plant can maintain a low and close growth, since it willingly creates a large number of side shoots. Furthermore, the plant grows well in the shadow of other plants. 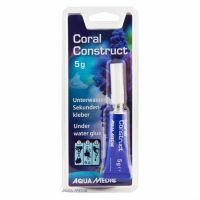 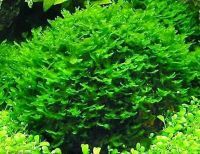 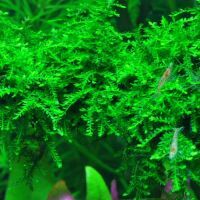 Very suitable as a bit higher carpet – or bushy plant in the middle or front of the aquarium. 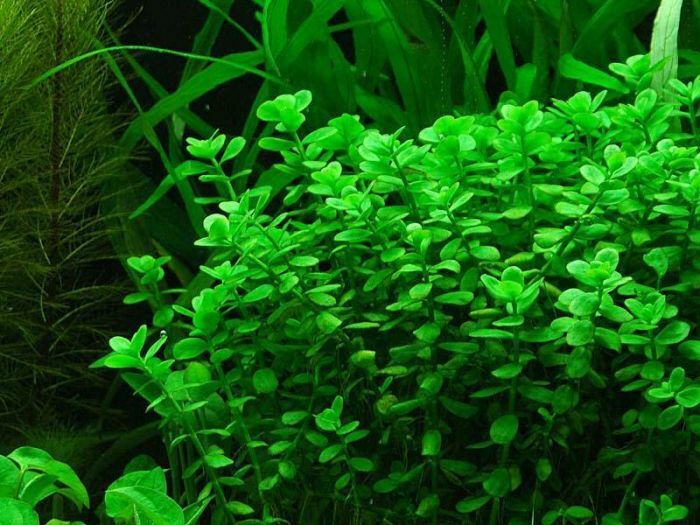 The plant becomes more vertical growing and less compact without CO2 additive and decreased light conditions.